In a blogpost written earlier, I had mentioned about two new naval ships that have joined Indian navy. The first ship out of these two, the 163 meter long and 7500 tonne displacement, largest-ever destroyer, INS Kolkata, which is also India’s first domestically built guided missile destroyer to feature a Western-style air search radar and stealth technology was built at Mazgaon Docks Limited from Mumbai. It is believed that INS Kolkata has an all-round capability against enemy submarines, surface warships, anti-ship missiles and fighter aircraft. It incorporates modern weapons and sensors having advanced information warfare suite, an auxiliary control system with sophisticated power distribution architecture and modular crew quarters. 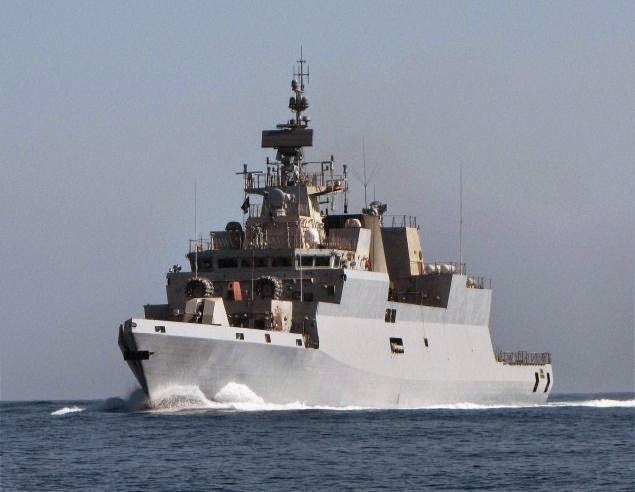 The second ship to join the Naval fleet was INS Kamorta, an anti-submarine corvette built by Kolkata based Garden Reach Shipbuilders & Engineers Ltd. What is significant with this ship is that it has been built with almost 90 per cent of indigenous content. 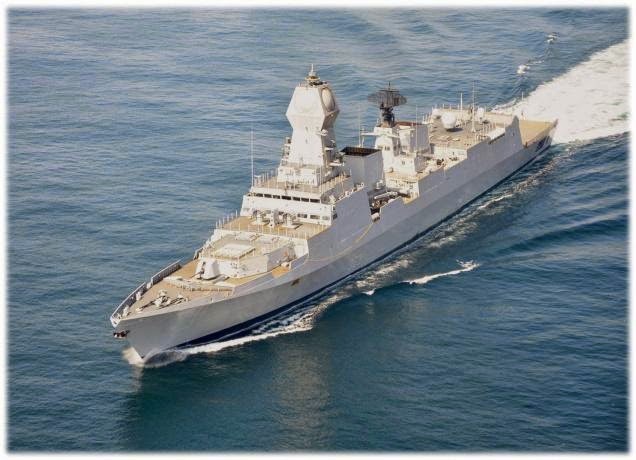 The warship uses indigenously developed special grade high-tensile (DMR249A) steel produced by Steel Authority of India, removing dependence of Indian ship builders on steel imported from Russia. Both these ships have something common that they have been built with stealth technology. Many readers, who might have read this, must have been puzzled with this stealth business. What does stealth mean? According to the dictionary, when used as an adjective, it means “ Not disclosing one's true ideology, affiliations, or position.” When used as a noun it means “ The act of moving, proceeding, or acting in a covert way.” One may think that considering the size of the ships that it would be an impossible task for a ship to move in a covert way. But naval ships can easily beat the prying eyes using cover of darkness and slip away. One does not need any technology for that. Stealth technology actually enables the naval ships to have a capability to prevent detection by enemy radar stations. 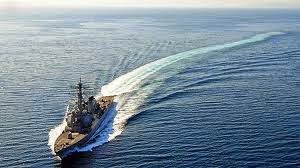 In case of ships, particularly submarines they need the capability to prevent detection by enemy sonar detectors also. The German U-boat U-480, from second world war era , could be considered as grandma of stealth ships. It featured an anechoic tile rubber coating, one layer of which contained circular air pockets to defeat sonar detection. However technology has moved much ahead now. When talking about stealth, a word “ signature” become very relevant. When radar signals are reflected from a ship, they form a definitive pattern on radar screens, known as the ship's signature. The primary aim of stealth technologies therefore is to reduce this signature. A stealth ship therefore is constructed in such a fashion that it is harder to detect by one or more of radar, visual, sonar, and infrared methods. This is usually achieved by reduction of radar cross section (RCS), visibility and noise. When any object, including a swimmer, moves through water it leaves behind a trail. It is called a wake. Wikipedia defines it as the region of recirculating flow immediately behind a moving or stationary solid body, caused by the flow of surrounding fluid around the body. Wake is caused by hydro dynamic forces. Ships are no exception and produce miles long wakes. This means that the hydro-dynamic wake of a ship is another “tell-tale” signal that tells the observers that something was lurking nearby. With so many military satellites keeping their eyes firmly on oceans, wake becomes another important signature for a ship that has to be reduced to avoid detection. This means that a stealth ship has to be constructed in such a way that besides reducing its infra-red and radar cross section signatures and wake, it also must be a silent ship meaning thereby that its acoustics, magnetic, electric signatures have to be minimised. This is done by shaping of a ship to the lowest signature and replacing metallic components used in over-the-deck portion of the ship, with composites. The ship's exhaust also needs to be at the minimal level. 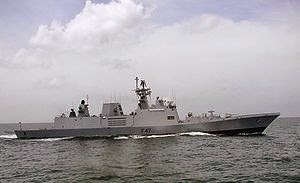 Indian navy ship “Shivalik” was the first stealth ship built in India. The ship built by the Mazagon Dock Limited (MDL) located in Mumbai, was commissioned on 29th April 2010. “Shivalik” as well as recently commissioned “Kolkata” and “Kamorta” have all used the stealth technologies developed by the laboratories of India's Defence Research and Development Organisation (DRDO), or more specifically by Naval Science and Technological Laboratory (NSTL), at Visakhapatnam and other labs like the Naval Materials Research Laboratory (NMRL) and the Naval Physical and Oceanographic Laboratory (NPOL).